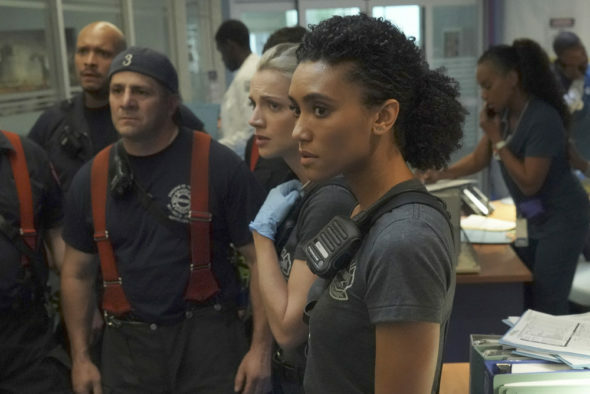 Are the first responders still at the top of their game during the seventh season of the Chicago Fire TV show on NBC? As we all know, the Nielsen ratings typically play a big role in determining whether a TV show like Chicago Fire is cancelled or renewed for season eight. Unfortunately, most of us do not live in Nielsen households. Because many viewers feel frustration that their viewing habits and opinions aren’t considered, we’d like to offer you the chance to rate all the season seven episodes of Chicago Fire for us here. **Status update, below. What do you think? Which season seven episodes of Chicago Fire TV series do you rate as wonderful, terrible, or somewhere between? Should NBC have cancelled or renewed Chicago Fire for an eighth season? Don’t forget to vote, and share your thoughts, below. EVERYTHING AND MORE! KEEP IT COMING! This show is consistent. Always a great couple of storylines per episode and a winning cast. Fabulous character development in their personal and work lives. A special request from an adoring fan…..please put Stella and Kelley back together! I have never seen a hour go by so fast as when this show is on. Best show ever on CBS. Leave well enough alone. Best show that is more naturally on how the real fire Department is run . The actors and actresses are are outstanding. I hope it’s renewed again for many years to come.